The American and Canadian west is home to thousands of miles of hiking trails. 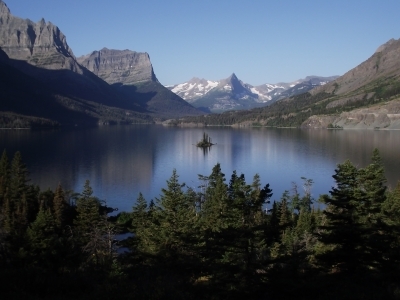 From the glacially carved mountains of Glacier National Park, to the red rock deserts of Sedona, hikers can find a wide range of hiking opportunities to satisfy their need for adventure, or to simply find solitude in wilderness. "The tendency nowadays to wander in wilderness is delightful to see. 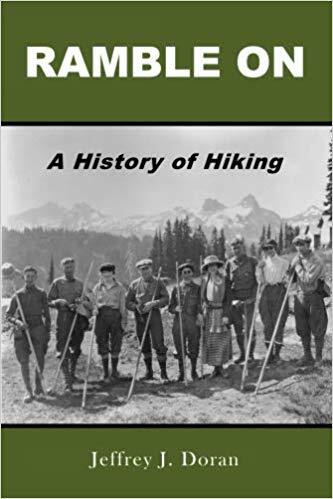 Thousands of tired, nerve-shaken, over-civilized people are beginning to find out that going to the mountains is going home; that wildness is a necessity; and that mountain parks and reservations are useful not only as fountains of timber and irrigating rivers, but as fountains of life." Discover the West is based on all the trails Kathy and I have hiked over the last several years. We put this website together to help you discover some of the best hikes the western United States and the Canadian Rockies have to offer. Here you'll find a range of hikes in Banff, Jasper, Rocky Mountain, Zion, Bryce, Arches, Grand Canyon, Guadalupe Mountains, Yellowstone, Grand Teton, Glacier, Mt. Ranier, Redwoods and Yosemite National Parks, as well as in many of the national forests, national monuments and other public lands scattered throughout the west. To get started, simply use the Hiking Trail Directory - organized by state - on the right. The author of this blog and the four online national park trail guides, is also the author of Ramble On: A History of Hiking, which chronicles the rich history of hiking.